When Photobucket updated their terms of service in 2017 and no longer permitted free accounts to use their site for third-party hosting, I lost all my picture links in my various role-playing and story threads (including my long-standing Legacy Thread) since I joined our site! I have my own Google Photos account now, which should allow me to link to my own photos. I just have to upload my screenshots as I take them if I intend to make any new story threads. I also have a bunch of cool photos I keep intending to share, and I also want to recreate my Walt Disney World thread from my January 2017 trip as well. I've copied and pasted my W.D.W. post into this thread, complete with defunct Photobucket links, so I'm aware the links are broken for now until I update the pictures again with updated links! I also have some new stuff to share with you all as I re-organize my photos. Kylo Ren: "There is a map, hidden in a droid. I want that droid." Captain Jaade: "I'm just a tramp freighter Captain looking to sell some contraband. I thought maybe you could help me out." Captain Jaade: "Another time then." Later on, I hopped on my speeder bike and came across some Padawans dueling in the forest. Turns out the younger Padawan was on her way to a training session at a local temple. Next thing you know, some hulking Imperial all in black came out to scare off the younglings. She stood her ground. It wasn't more than a few days later, and I ran into this guy again, pacing, moaning on and on about some Force. Our exchange was pretty short. I think I made my point. Kylo Ren: "The Dark Side calls you. Don't fight it. You can't." Captain Jaade: "Hokey religions and ancient weapons are no match for a good blaster at your side." Kylo Ren: "It is a grave decision." What happens when you send a Youngling, disguised as a BB-droid, to get some local refreshment? The vendor sends her back with spare parts... free of charge. Later, I made my way to a local cantina to make some new contacts. I was ready for a strong drink, but the next thing you know the Youngling handed me some Blue Milk!? Later I found out the Empire has security holos everywhere, so I paid a local slicer to pull the footage out of circulation for me. It's about 1m:45s long. Click the Play icon. If you can't hear the audio over the damn Bith cantina band, use your audio receptors. This past summer, I bought three of these bottles at different stores, on different days, and was sharing them with my tabletop group, just for the novelty. Then my Youngling came home one day and gave me a fourth bottle; "On a Boat". I have an old friend who's been working at BioWare (Edmonton, not Austin) for the past few years now. He's never been involved with SWTOR, but knows my appreciation and long-time participation with the game. I'm embarrassed to say he gave me some sweet swag two years ago! I just finally got around to posting it now. The t-shirt is an XL, and it just fits my 14-year old Youngling, so I passed it on to the next Generation of spacer in my family. However the coin is awesome, and I still have it tucked away for now. When I finish renovating my home office, I intend to display it somehow. It will always bring back my immensely fond memories of this community, even when the game inevitably shuts down sometime in the future. So this year I decided it was time to sit the chair once more. It was time for recoveringgeek to run a tabletop Star Wars Campaign. Our table had used Star Wars Saga Edition before, and it worked well enough, but the d20 Feat bloat/combat nonsense kept getting in the way of my storytelling. Then a couple years later, I ran a couple sessions using d6 Star Wars by West End Games. d6 for me is like putting on an old pair of gloves that fit perfectly but are worn through in places. It wasn't the right time for me to run a Campaign, and d6 is missing an extra layer of crunch that my table prefers. So this time we settled on Savage! Worlds. While there isn't any official support of course, there are several fan-written iterations, many of which take inspiration from the d6 materials. More importantly, I started this Campaign right as the SWTOR creative well was really drying up for many of us, and we'd all just endured our impressions and opinions of The Last Jedi and Solo: A Star Wars Story. So the timing was perfect, as crafting my own story was the balm I needed to refresh my love of Star Wars, rather than waiting for another Creator to do the heavy lifting for me. Now I'm asking you, the Community, to participate too, in your own small way, by posting your reply here. Timeline: 10BBY, during the "Dark Times"
Quinton "Quint" Munister - Human male, former Head of Security for a Senator who was "disappeared" when Emperor Palpatine seized control of the Galactic Republic. Quint escaped the security sweep, and has been in hiding ever since. A grizzled, washed-up mechanic with a penchant for slug throwers over blasters. Blake Blackthorn - Female Zeltron, runs the civilian outpost on behalf of her Father, and the Blackthorn Cartel, a minor crime organization with a mix of legitimate and black market ventures. B1S-MK1 (Bismark) - Kaminoan Clone stormtrooper whose Inhibitor Chip malfunctioned during Order 66, and he witnessed his fellow troopers murder their Jedi compatriots during the waning days of the Clone Wars. Has continued to perform as a substandard Stormtrooper ever since, getting demoted down the ranks, and transferred further and further out in forsaken postings, before ending up on mining patrol on Dantooine. Near this mining outpost are the ruins of the Jedi Temple. The same Jedi Temple that was razed by orbital bombardment by Darth Malak in the Knights of the Old Republic game. Now in terms of timeline, that event was thousands of years ago, however I hand-waved that and simply referred to it as an Event over a thousand years ago so there can be some semblance of technology still functioning in the temple as dictated by the explanation of [PLOT]. Now by this point the characters are all allied by circumstance and shared hatred of the Empire. They have recently discovered some old maintenance tunnels running out to the temple from some old mining tunnels near their settlement. They haven't ventured to the temple yet, as the Empire has declared the entire area a no-go zone, and patrols the surface area with Imperial Scout Troopers on speeder bikes and Imperial Probe droids. They want to go explore the temple however, for many reasons, not the least of which is an old timer who referenced the possibility that entire areas of the temple may have survived the orbital bombardment, including libraries, training centres, and even hangar bays. That's my hook, as the Players want to get a ship and get off Dantooine, taking their new Clone friend with them. It's complicated, and for the most part they are all dirt poor, except for Blake, but her resources - and responsibilities - are tied to the outpost. So my goal was for them to find a ship in one of the hangars that survived the bombardment, and they would repair it and get it operational so they can use it to escape the Empire. Then I thought, wait a minute, this is my Campaign, and if I want to be self-serving and self-congratulatory, why can't I? So now the ship is going to the Jaded Dream. It makes me smile just typing that. The whole over a thousand years ago bit is to make it easier to hand wave a Gozanti Cruiser still being able to fly (with some repairs) after all that time. 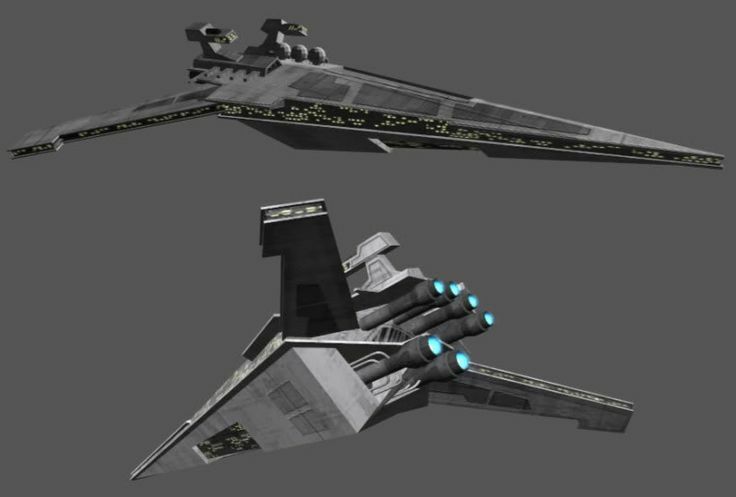 Gozanti Cruisers are Old Republic-era vessels, but still in service during the Prequels (You briefly see one in The Phantom Menace.). 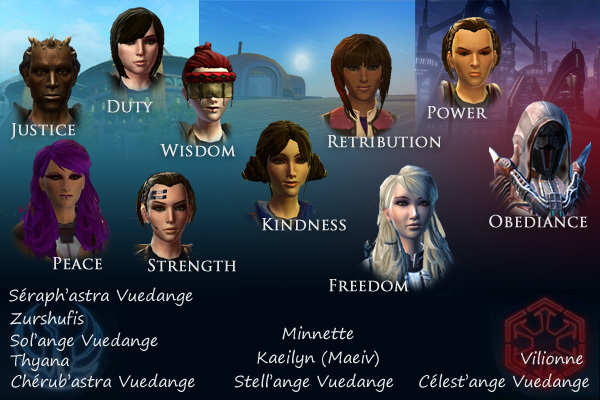 Some of you have had characters on both sides of the Treaty Line interact with Captain Jaade at one time or another. Another, smaller group of you have found yourselves on board the Jaded Dream from time to time, even if only briefly. Finally, an intimate group of characters have flown with Jaade regularly, by choice or consequence. If you had a character who ever interacted with Jaade, or flew on the Jaded Dream, what did they leave behind that a group of desperate, motley, ne'er-do-wells would eventually find? What little piece of our collective stories from the past seven years do you want to survive a thousand years later? Here are some examples and shout-outs, but this list is not exhaustive, so even if I didn't tag you, please post your suggestions if you have them. @Niarra - Kettur, the Twi'lek super spy probably had several projects on the go during his time on the 'Dream, never mind any Old Republic intelligence files on various points of interest. @Cordae - I don't know what the Crown Prince may have ever left behind, but I am sorely tempted to have the characters find the coordinates to Erini in the Jaded Dream's aged navicomputer. I wonder what Erini would be doing in the time of the Galactic Empire? @Orell - I don't know that Shaantil ever spent more than a moment or two on my ship, but certainly Kyri was part of a mission or two. A headstrong healer might have a clue or two waiting to be found. @Hawking - Leave any breadcrumbs? @livia - This Chiss may not have agreed with Jaade's temper very often, but she never resented him for it. She walked his landing ramp more than once I seem to recall. @Lolermelon - I am genuinely afraid to even ask. Be gentle. @Aylaa - I'm pretty sure Darth Necare set foot on the Jaded Dream once or twice during their brief Vysint smuggling contract. What would a Sith Lord leave lying around in a case of contraband alcohol? @Colton - Testing, testing, this thing on? What nugget of SmuggCo's history would be found rattling around in one of the 'Dream's storage lockers? Items, weapons, holo recordings, data files, contraband, hyperspace coordinates, unsolved mysteries, unfinished storylines... what do you want our Legacy to be a thousand years later? The only thing of Pehn Qardaak's that would be on that ship would be his shuttle, if you stole it again. - A set of trophies stasis-sealed in a pitted old transparisteel case: a lurker claw, a preserved Nautolan tentacle, a chunk of a durasteel breastplate imprinted with a Weequay gang marking, and an old Sith warmask (in the Malak/Malgus style). - An articulated dummy-arm with a half-complete wrist-launcher on it: a high-capacity minimissile launcher on top, a laser-tube on the bottom, a grapnel launcher on the right side, and a single vibro-claw on the left side. - An archaic Chagrian nutritional-content tester. A datapad, datachip, or buried computer/terminal entry in which a sophisticated translation and decryption program is stored, or at minimum the beginnings of one that could be further fleshed out by an able techie. He started writing this to decrypt/translate Iokathi ciphers, but the program itself wouldn't need to reference anything Iokath related (if you didn't want to get that specific); it could just be an all-purpose universal translation/decryption program that could be used for slicing or vocoder-programming purposes. Kettur used a lot of drones. For the most part in public he treated them with a tinkerer's idle sort of affection, but in private that affection was more sincere. (Get your minds out of the gutter!!) Though the drones were fairly simple in his time, with limited heuristics, and the relationship certainly wasn't at the level of a beloved R2 style astromech, he was nonetheless fond of his little creations, and they were upgraded far beyond normal drones. One of these could certainly have survived aboard the ship in a powered down mode. If you wanted to take that a step further... limited heuristics is still some heuristics, and it could be that after a couple thousand years with no one to reprogram, wipe, or command it, one of these little drones has evolved as much personality, purpose, or quirks as you would like it to. For sure any drone of Kettur's would have been programmed to be particularly good at surveillance, and some ability to create distractions for its owner (all the better to slip into some area undetected). If you are looking to gift the party with any pieces of gear, the most unique/remarkable of Kettur's that might have been left behind are: a stealth field generator, a nice array of slicing spikes, armor with whatever stealth upgrades your rules system allows/uses, and a variety of explosives. Blasters too, of course, but there were more interesting blasters to be had (Rath's or Jaade's, for example). And if you ever want the extra mile of some long-ago adventurer's personal logs for the players to find and read, I'd be happy to whip some of those up if time allows. Hell, what wouldn't be found rattling around in there from the formative days of the Smugglers Coalition? I'd imagine at the very least that the ship's navicomputer would have the coordinates to a few unmarked SmugCo holdings/safehouses from the early days, and probably more than a few correspondences from when they were hashing out the details of their new venture. You'd have messages from both Jace and Saura working out the finer details, bouncing ideas around, including Jace's plans to get rich and retire to Zeltros one day and Saura's original security plans for SmugCo's holding on Voss. @Colton, don't make promises you can't keep. I'll only do that if you write me some short snippets of Drexa lessons that could be retrieved from a thousand year-old damaged Holocron. They can be disjointed, incomplete, unrelated, non-sequential. Send me some PM's if the writing bug takes hold of you... I can use them as handouts as my Padawan stumbles his way through the Galaxy.